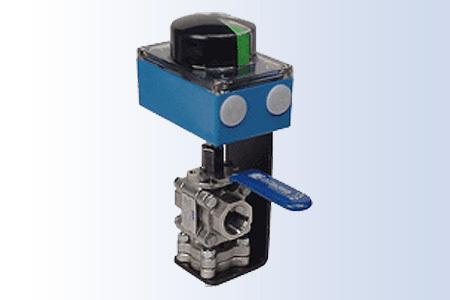 A local chemical company needed their own manual 3-Way Ball Valve fitted with a limit switch. Assured Automation fabricated a custom mounting kit for their specific valve to add one of our weatherproof limit switches for general service. This entry was posted in Custom Projects and tagged 3-Way Ball Valves, Limit Switches, Manual Ball Valves. Bookmark the permalink.